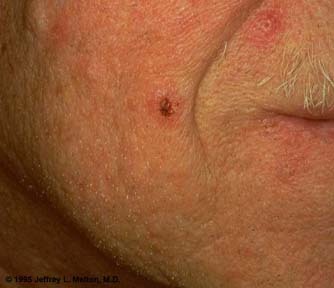 An eroded/ulcerated lesion on the cheek. Often there is a dark crust on basal cell carcinomas which results from periodic bleeding. A hint of a "pearly," somewhat translucent border may be seen.